Who thought Dominoes could help us understand how to complete Estate Planning? Remember when we were kids? Dominoes was one of my favorite games. Families could play this together. Kids could play it without the parents around. It is a perennial game that is still popular today. And can help us understand why we need Wills, Powers of Attorney and other legal documents. Here is my RETIREMENT & ESTATE PLANNING DOMINO THEORY. 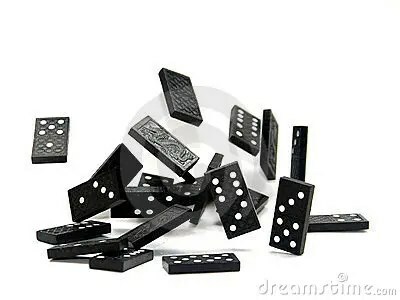 Think how if you complete Estate Planning it is like those amazingly long strings of Dominoes that people set up. > until that last Domino falls and rings a bell; causes some water to spill;, or, crashes a house made of Dominoes. Rather surprising and fun things happen. Making sure your own complete Estate Planning is in order sort of works the same way. 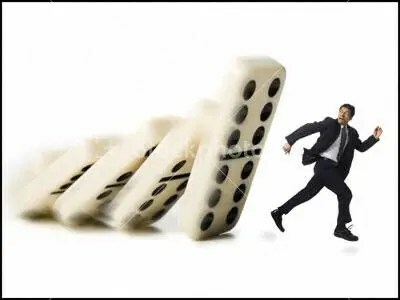 You may not know the Dominoes are already in place; the way your State Legislature and “Common Law” (the rules created by Courts as “precedent” when deciding cases) set them up. Most people are unaware they are even there. More important for you to know is this. 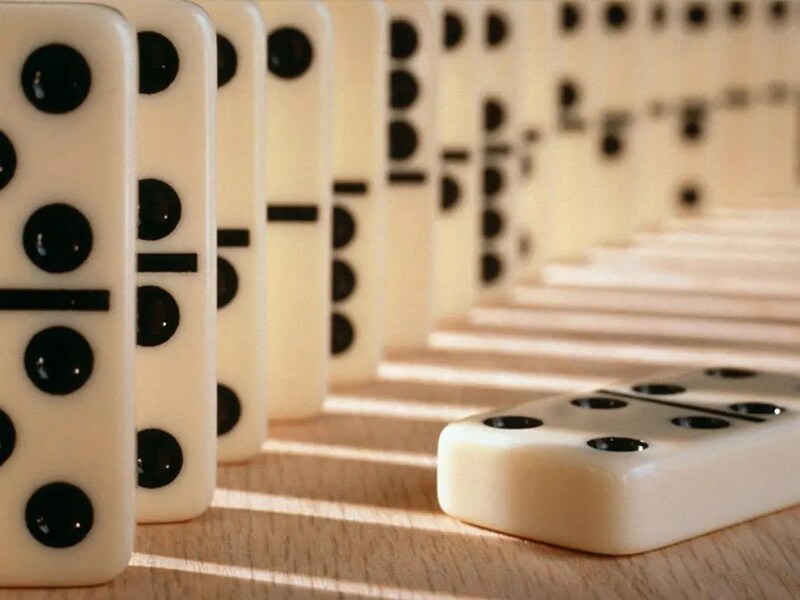 Usually when that last Domino falls, it will not be where you expected it would land. Worse than that, it is not where you want it to fall. People usually DO NOT want the results that come from NOT setting up the Dominoes how they would rather they fall. Even celebrities leave bad results for their families by not setting up the Dominoes so the last one falls where they would want it to. Marilyn Monroe took her life sadly, at age 36. In her will, she left $100,000 in trust to support her mother. She left most of the rest of her estate to her acting teacher, the famous Lee Strasbourg. That is OK, since she made the choice. However, not too long after, the much older Strasbourg also passed away; leaving everything to his third wife. 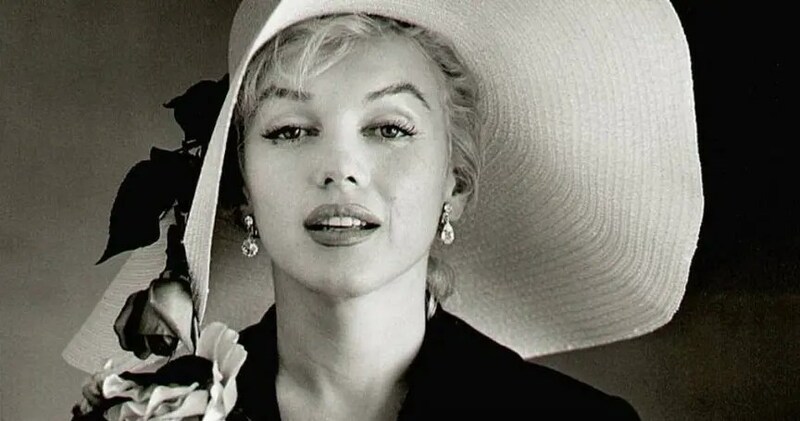 Marilyn Monroe hardly knew her; yet, Strasbourg’s widow has made millions off the rights to her pictures and other property rights. Might Marilyn Monroe not have preferred people she knew and cared about would benefit from her estate? Arrangements to assure that were possible if the Dominoes of her assets were set up differently. McNair was killed at the age of 36. McNair, with nearly $20 million in his estate, had not done any estate planning, leaving his heirs with estate taxes and court fees consuming a large portion of his estate. The worse tragedy was this. When alive, McNair purchased a wonderful house for his mother to live in. After his death, his widow kicked her out. 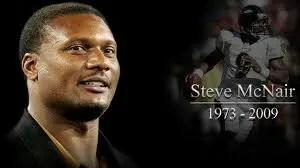 Do you think McNair would have wanted that horrible, and avoidable, result? Diana, Princess of Wales – Affectionately known to us as “Princess Di”. Diana left a proper will that went into effect after her tragic death in an automobile crash. However, she left a separate “Letter of Wishes” asking her Executors to divide certain property between her sons and 17 godchildren; in their discretion. Unfortunately, the Executors only gave those people trinkets, instead of what would have been around 100,000 English pounds each. Directions in her will would have assured Diana’s wishes were carried out. Again, a simple change in one Domino could make a tremendous difference to people Princess Di cared about. In each of those cases; and many others, perhaps in most families, paying attention to how the Dominoes of the property in their lives fall could have better consequences. WHAT ARE THE DOMINOES I NEED TO PAY ATTENTION TO? Our property is often held in different accounts. There are bank accounts, stock brokerage accounts, IRA’s, 401k plans, Life Insurance policies and others. Each of these might be set up very differently. And how they are set up controls who gets the property when we are gone. Your Will does not control who gets that property. That’s right, even though your Will has language about how all your property is to be distributed, it does not control accounts that say something different. And as happened in Marilyn Monroe’s case, even the Will may cause results we would not want. So, each of these items needs attention to make sure what you want to happen is what will happen. Let’s look at some of the Dominoes that need your attention. Bank Accounts and Stocks and Bonds Accounts: Is it only yours? Then it is governed by your Last Will. If it is in a Joint Account with “rights of survivorship”, or an I/T/F account (in trust for) the joint tenants or beneficiary get it no matter what your Last Will says. These are “contractual” terms that are not changed by your Last Will. Often well intentioned account managers or the people in a bank that help you set up accounts suggest you create an “I/T/F” account. They tell you it avoids probate. It would be a nice way to let your grandchildren know you remembered them by leaving a gift. All that is true. But they are not aware of the downside. If minor children get a gift, it usually becomes necessary to go through the expense of setting up a Guardianship of their property for them. While they are underage the money cannot be used for their welfare; because the parents have the obligation to support them. The Court will not give the parents’ access to their minor children’s money to pay for schools and other items that are part of that obligation of support. So, this “gift” to the grandchild cannot be used to benefit them. If a child with “Special Needs” receives this money, that child may lose rights to Government benefits that help the parents support the child. The last thing to remember is this. When the child turns the age of majority in that state, they get the money. If that age is 18, would you want that young a person to get that amount of money without any restrictions. Good planning would be to reset these Dominoes. Either allow the property to go through probate and leave it to a trust for the child’s benefit; or, create a trust now so the property is already in place under the terms and conditions you want for the child. There are many flexible provisions possible to make that properly set up account operate better to benefit the child. Those details are for another day. So, AVOID leaving property in accounts in a way that is not consistent with your Last Will. Alternatives exist so the last Domino lands where you want it to. Life Insurance Policy Death Benefits: You probably made a Designation of Beneficiary at the time you applied for life insurance or later. It might have been one or two lines in a lengthy paper with lots of choices. That governs who gets the Death Benefits no matter what your Last Will says. [NOTE: There are some exceptions for particular circumstances. But, you should rely on the general rule just mentioned.] Many people often do not remember what they put in those Life Insurance applications. Do you? The policy is a contract and the Life Insurance company must pay out the Death Benefits according to that contract; even if your Last Will directs differently. So, again the Life Insurance death benefits are not governed by what you say in your Last Will. If the beneficiary is not who you want it to be, you have to reset that Domino. Often things change making it important to review the Life Insurance policy Death Benefit Beneficiary. There may be a divorce from that person; the named beneficiary may have passed; or the beneficiary may have begun bad habits where leaving them the Death Benefit is not wise after all. Other Accounts with “Beneficiary Designations” – Many of us have other accounts with “Beneficiary Designations”. Our IRA’s and 401(k)’s work this way too. So, it is important to review everything we own or have a right to. There are often surprises about how those Dominoes are set up that you want to change. “I’ve known Uncle Scott my whole life. Real Estate: What is the exact way the deed reads that you were given when you bought real estate? Sometimes we are surprised by what we find. For example, I have had clients who, because of some confusion, find one spouse is on the deed, but the other isn’t. At the same time, the spouse NOT on the deed is ON the mortgage. Or even vice versa. Making sure this Domino is set like you want it often requires a title search. Your real estate lawyer or title company can usually take care of this pretty easily. Real Estate needs specific attention. Even if the “title” (the name of the person or entity that owns the property) is correct; other problems might exist that should be cleaned up. Someone may have filed a “lien” (a paper put on the public records that says there is money owed; and, before the real estate can be sold or a new mortgage given on it that old debt needs to be paid). Often unpaid Real Estate property taxes owed show up. The Internal Revenue Service may have filed a lien for back income taxes. All sorts of rights to file a lien exist. It can’t be done unless there is a real reason. If a “lien” is filed when there is not right to do it, the person that did it would become responsible for a “Slander of Title”. Then they would pay damages like if they slandered an individual’s good name. 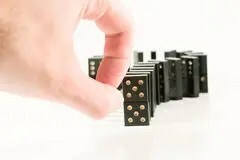 In all events, ownership of Real Estate properties should be reviewed to make sure those Dominoes are set up as you expect and want them to be. Business Interests: Stock of closely held corporations or professional associations, interests in closely held limited liability companies and partnerships are often set up wrong; if there is even any identification at all of who the owners are. Things may be fine on bank accounts or other things needed to do business; but, if the proper identification of a stock or interest owner is not made, there can be confusion if there is a death or incapacity; or even a sale of the company or its assets. Also, many of these interests are subject to agreements like Stock Holder and Buy-Sell Agreements; which govern what happens if the stock or interest owner dies. That may cause a surprise at a very sensitive time. So, care is needed to make sure that kind of paperwork reads the way you want it to. This is all not as hard as it looks or seems. If you keep good records, it will be very easy. Most everything else is fairly easy to find; or repair if it is done wrong. We have been talking about taking care of others. But Dominoes need to be put in place so those you want to take care of you have the legal authority they need to do that. 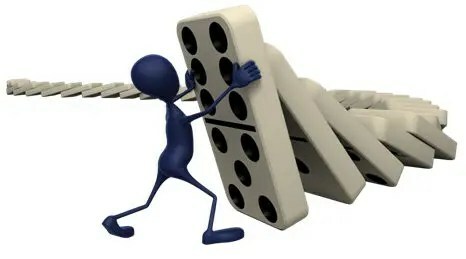 Circumstances can happen if the Dominoes fall on you in a way that you need that help. While you may be very efficient to make sure you have the proper “title” to everything you own; if you cannot deal with the property for some reason, that is a real problem. It is not unusual for folks to be unexpectedly hurt in a car accident; have a heart attack; or a stroke. Any condition that makes us unconscious creates this problem. Assume, for discussions sake (No one likes to think about these possibilities; but we have to) one of these situations happens. You are unconscious and it is time to roll over a Certificate of Deposit to get a new higher rate. But, you cannot get to the bank to do it and it is titled only in your name (even if it is I/T/F for someone if we lose you). 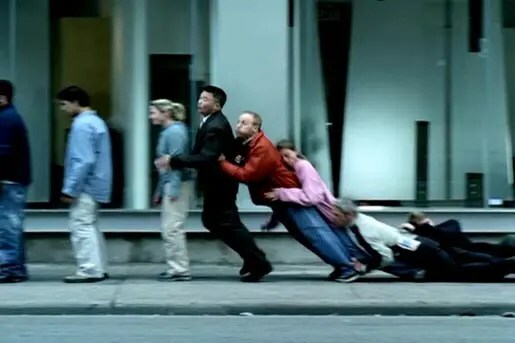 Who will be able to do the rollover? The bank will only deal with you. There is no one else with authority. So, the Certificate of Deposit stays at the same lower rate. Think about your stocks and bonds and mutual funds. You are in this condition and there is a “Sell” recommendation. Only you can order the sale. If the stock is not sold, you lose money on the expected drop in value. Or there is a “Buy” on something you cannot take advantage of; so that is a real opportunity cost. The frustrating thing for lawyers is that these problems can be avoided by one pretty simple document; a Durable Power of Attorney. A Durable Power of Attorney lets you choose someone you prefer to manage your accounts if you cannot. Why a “Durable” Power of Attorney. Well, powers of attorney have been around for hundreds of years. They name someone as a mere “agent”. That means they can show up for you; but, if there are any questions, you can be called to give directions. If you are unconscious and are not able to give the direction; then the “agency” fails. It is not “durable”. So, in modern times, legislatures came up with the “Durable Power of Attorney”; which means the agency still works even if you were, in fact, unconscious. Of course, the agent is only allowed to do things in your best interest. (Some do not, so be careful who you name.) This is a very valuable and critical Domino everyone should have in place. What About Instructions to the Doctors? – Financial matters are not the only thing that needs attention when this kind of emergency happens. If you are unconscious, giving doctors informed consent to medical procedures cannot happen. Here we mean those medical procedures to keep you alive and are designed to get you well. You need to make a Health Care Surrogate Designation. That names (“designates”) the person with the legal authority to give consent when needed. This is critical if you do not have a spouse the doctors will listen to. The Living Will only deals with “letting you go” if there is no way you will or could recover from a terminal condition. If that is what you would want, but cannot give the doctors those instructions, you want someone you trust named who can. Most of us will remember the tragedy of Terry Schaivo; and the national crisis created because she did not have a written Living Will. He husband testified being let go in her condition was what she wanted and she told him that. But everyone from her parents to the Majority Leader of the U.S. Senate (a doctor diagnosing without ever having visited her as a patient) said he was lying. In the end, the Courts allowed her to pass and an autopsy proved she would never have recovered from her condition. If she only signed that one document; the Living Will, her last days would have been spent in dignity with the care she wanted. 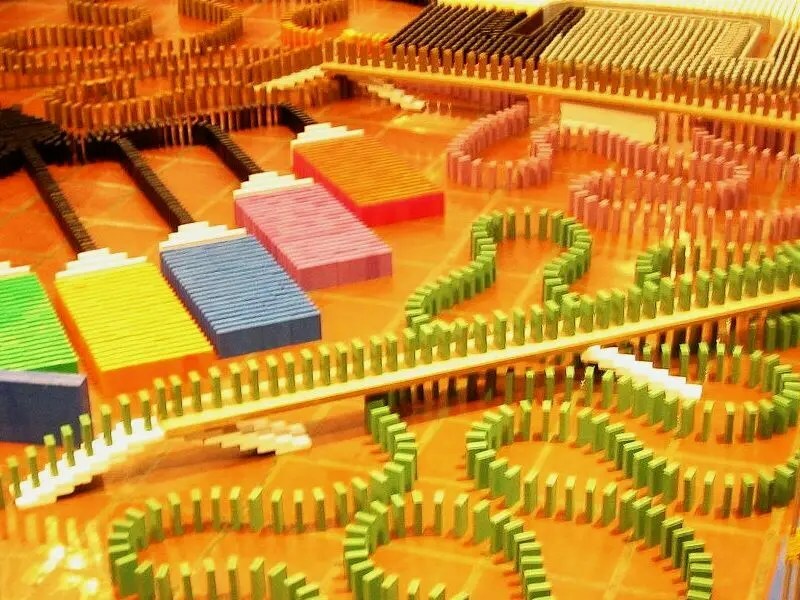 What happens if these Dominoes are Not Set Up? – The law provides a stop gap set if Dominoes fall into disarray because we have NOT set them up like we want. This is Guardianship. If the conditions described above happen and you have not “reset” the Dominoes in the ways suggested, the following happens. Someone has to file a Petition for Guardianship and to Appoint a Guardian in a proper Court. The Judge sends someone (often a committee) to examine you to see if you are in a condition where he should declare you “Incapacitated” under the law. That means your rights to take care of yourself are taken away from you. At the same time people can be asking for an appointment as your Legal Guardian. That person takes over your life and financial rights subject to the control of the Judge. Guardianship proceedings are an avoidable horror that makes a bad situation worse; and can usually be avoided. They are costly. What the Court can authorize has nothing to do with modern society. It is demeaning. Worst of all; family disputes about if you should be declared “Incapacitated” and who should be your Guardian are among the most terrible that can occur. And it all happens while you are in another room with no way to say what you want for yourself. The law creates the Guardianship alternative to protect the person who is the subject of the proceeding. That is a good thing. But most of us do not really need that protection; if we set up the Dominoes of our life and property to avoid it. Single People; especially Young Ones Need to Set Up the Dominoes Correctly. With so much divorce, women outliving their husbands for many years, and young people attaining some means or waiting longer to marry; making proper arrangements for if we cannot take care of ourselves is critical in our society. I recently asked a young, single, man what would happen if he became unconscious and the doctors needed instructions or his consent. “I guess my biological parents would be the ones who can tell them what do to?”, he answered. Well, he is right. Under the law his parents would have that right. However, before that can happen, they have to file a Petition for Guardianship and to Appoint a Guardian to get clear legal authority from a Judge to do what everyone would expect they can do. This is a situation where common sense does not prevail. Every one of us needs to have these simple documents completed so our care happens more easily. We can avoid the costs, administrative limitations and headaches, and indignities of a Guardianship proceeding with a few simple documents. WHAT ABOUT MY OWN KIDS? CLICK HERE for my manual “ESTATE PLANNING IS KID’s STUFF! Even if they don’t know yet quite how to play the game well. Nothing is more important for a parent than to know they assured the welfare of their children. That welfare may be needed if, God forbid, your minor are left alone in the world. What will happen to them? Who will take care of them; have authority to get them their shots and into school? There are laws that deal with this. Ultimately, someone can step in also in this situation and Petition the Court to Name a Guardian for the child. Until the Court makes that appointment, the State child welfare people may step in and put your children into foster care until a decision is made. So, it is important that the Court can quickly name a Guardian. But what if the Judge does not know who the Guardian of your children should be? What if more than one of your relatives wants to be the Guardian? The statutes created by the Legislature of your state list who has the priority right to be named. Of course, the Judge decides if that person could be a Guardian; but, not necessarily the best Guardian. That means the Judge might not appoint who you think would be the best Guardian for your children. What can you do? Well, it’s easy enough. The Domino needed here is your Last Will. One of the purposes of having a Last Will is to “nominate” the people who you believe would be the Guardians of your children. This is the way the law makes available for you to tell the Judge (remember that you are no longer around to tell the Judge yourself) who you want as and believe is the best person or people to serve as Guardians of your children. And the Judge will “listen” to your wishes. The law says the people you nominate in your Last Will (or other qualifying document) have the highest priority to be named as Guardians of your children. The result of all this? One of the most important Dominoes you want to make sure lands where you choose, is the Last Will with your nomination for who would be the Guardian of your children. In another blog post we will go through how to pick who you nominate for the Court to appoint. We will also, in another post, go over the best ways to leave money for your minor children. Most people would not want their kids to get a lot of money when they become the age of majority (when they are a legal adult in the eyes of the law; which is 18 years old in Florida). Watch for those posts in the coming weeks. WHERE DO I GET THE DOCUMENTS I NEED TO SIGN WHEN I WANT TO DO THE RIGHT THING? Going to a qualified lawyer is always the best choice. They know what questions to ask you and how to figure out solutions to complications that may come up. While there are some decent “do your own” alternatives, using them is too likely going to have you miss something. Or since it is complicated for you, although not so much for an experienced lawyer who deals with this all the time, you can too easily do something wrong; or get impatient and leave it undone. 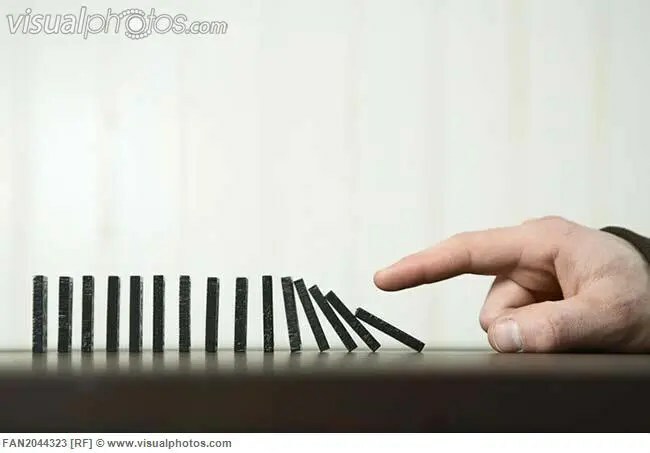 The expense of getting your Dominoes set up so the last one falls where you want is far less than the costs of not doing it when an emergency happens. If you do not have a complex situation with a lot of different accounts, business interests and real estate holdings I think $500 – $1,000 is a good guess of the probable legal bills. Of course, the more there is to do the more the lawyer charges. Review all this at least every 2-3 years. Babies are born. People pass away. There are divorces which certainly changes what you now want. All sorts of changes happen over time that affect the results of how we set up our Dominoes in the past. What was a good arrangement before might not be what you want anymore. 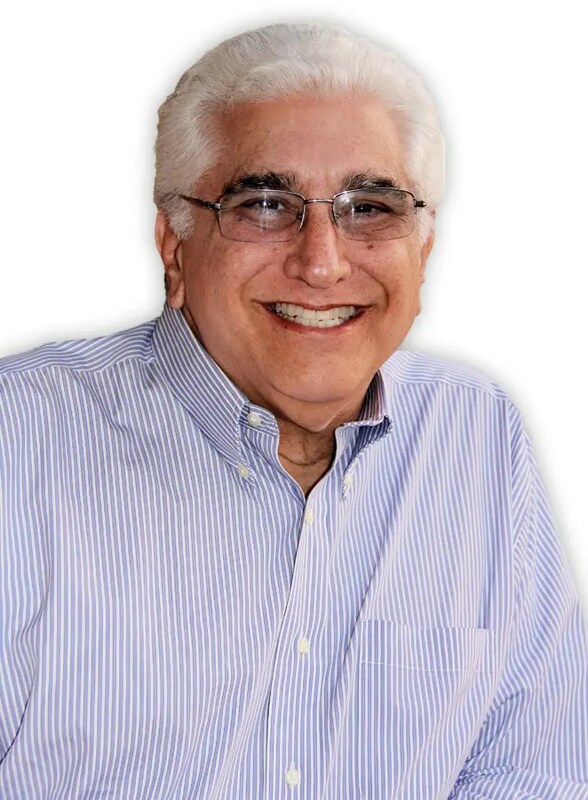 I assure you, after having experienced, for more than 40 years as a lawyer, client emergencies when the Dominoes WERE set up right and those where the Dominoes WERE NOT set up right; it is a bargain for you and your family to have things prepared properly and correctly no matter what the cost. What is the price of avoiding worse heartbreak when your world is already falling around you? The positive side is this. Given the complications that can happen, knowing that the Dominoes of your life are set up to avoid the horrors that can happen if they are not, can provide great Peace of Mind. You will know you have done all you can for yourself and your family. As important, you know the people you want and trust are in the wings to take care of your personal matters if you cannot. In other words, you rest easy because you are in control and know everything and everyone will fall into place like you want. Please let me know if you have any questions. This site is to guide you to complete what is necessary so your legal and financial Dominoes are in order. This is all devoted to guiding you to complete your own Retirement Planning, Estate Planning and Closely Held and Family Business Planning; and you gaining the Peace of Mind that comes from knowing your own future is secure and your family is protected. I help you by coaching, not teaching, so you can complete the work you need to do. Join in! Ask Questions! Comment on my Blog posts. Most important, get to the Peace of Mind that happens when you complete your Retirement & Estate Planning. Get free “The 9 Safest Ways to Build an Income that Will Last the Rest of Your Life“ and updates of new Blog Posts and other important information by completing and submitting the form below. Also join me on my SCOTT F BARNETT CONSULTING YouTube Channel by CLICKING HERE. DISCLAIMER: Since I am a member of the Florida Bar I should make it clear interacting with me on this site does not create a lawyer/client relationship. If I would enter into one, it is only after we sign a written agreement setting it up. I am more than happy to help you find a good lawyer when the time comes. I am retired from law practice and now focus on this blog and the matters I discuss in it. (CLICK HERE to see the WHAT I CAN DO FOR YOU! page.) Thanks for understanding. I would appreciate it if you “Share” this article with others you believe would “Like” it too.